Are you copper deficient? Probably! It has been reported that only 25% of the U.S. population gets their recommended daily dose of copper. Copper is vital to your daily health and being deficient may even be harmful. This micro mineral helps oversee your skeletal, nerve, and bone health. Copper is necessary for the production of the vital components of your blood— oxygen, hemoglobin, red blood cells, and iron. Your metabolism requires an adequate supply of copper as well, while your body would have trouble repairing itself and growing without it. With an insufficient amount of copper in our system, we wouldn’t be able to maintain the health of our cells, muscles, and joints. In fact, many believe that copper is a natural solution to inflammatory conditions like arthritis. Copper ensures that your connective tissues stay healthy and proper enzyme functions are carried out. The thing is, is we have to outsource our daily supply of copper as the body is incapable of making it itself. Despite being one of the most prevalent minerals in our body, we have to obtain it from our daily diet. Our body is constantly using copper and therefore cannot keep up with the demand, so it is important to eat foods rich in copper. Foods like nuts, seeds, beans, certain whole grains, and wild seafood can help your body store enough copper to function in a healthy manner. The recommended daily dose of copper for adult men and women is .9 mg per day. 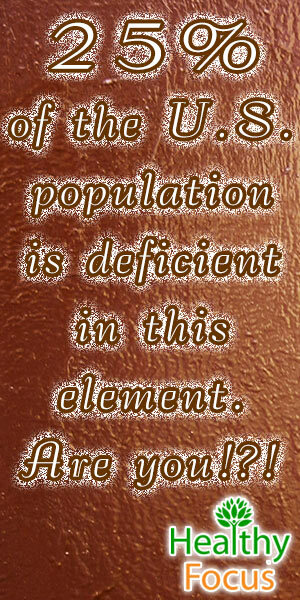 Copper deficiency is a symptom of malnutrition, where people are not obtaining enough copper through their diet. 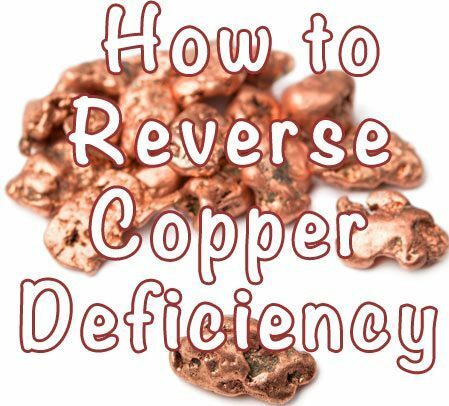 Copper deficiency can also occur in people suffering from severe digestive issues. Digestive disorders like Crohn’s Disease make it difficult for the body to absorb nutrients. Another cause of copper deficiency can be the result of taking a supplement with high levels of zinc or iron, which impairs the body’s ability to absorb copper. Adults should get 900 mcg per day. Pregnant women should get 1,000 mcg per day. Women who are breast feeding should get 1,300 mcg per day. Adolescents ranging from ages 14-18 years old should get 890 mcg per day. Children ages 6 months to 14 years of age should get 220-890 per day. A child’s dosage depends on their age. Speak with your child’s pediatrician to get the exact dose requirement. Infants 0-6 months of age should get 200 mcg per day. Getting enough copper is vital to our daily diet because it provides numerous benefits that are required for basic healthy functioning of the body. Below are some the ways copper helps our body function. We need copper to help grow our bones, muscles, and connective tissues. They not only help these vital parts of our basic skeletal structure, but to maintain the health of them as well. Not getting enough copper in your diet can lead to brittle bones that easily break and even osteoporosis. Muscles will become weak and joints will become sore. Older Women at risk for osteoporosis or bone loss can take a combination calcium, manganese, and zinc can delay this process from occurring. Getting enough copper is literally important to protecting our nerves as copper helps insulate the myelin sheath, the outer layer of the nerves. Eating copper-rich foods also helps stimulate brain activity, enhancing cognitive function and the thought process. This is because copper stimulates the brain, encouraging transporter proteins to fire neurons in the brain. Many neuroscientists believe that copper also plays a role in enhancing such brain functions as communication, memory, decision making, and even creativity. Expanding on the above information on how copper impacts the brain, copper plays an important role in maintaining activity in certain brain pathways, especially with galactose and dopamine. Stimulating activity in these areas of the brain helps to maintain good mood and sharp focus. When one experiences deficient levels of copper, they may come foggy, tired, and may fall into a bad mood. These symptoms are letting your know that your body is not getting enough copper. Copper also helps oversee the production of brain-protecting enzymes and antioxidants such as vitamin C, which helps stop free radical damage in its tracks. 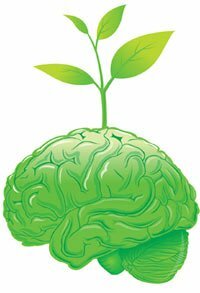 Free radical damage in the brain may result in advance aging of the brain, cancer, and diseases such as Alzheimer’s or Parkinson’s. Copper is extremely important when it comes to producing ATP, the body’s main source of energy. ATP is produced in the mitochondria of cells, and without copper, this production wouldn’t be able to take place. Copper also helps supply protein to the blood, helping the body be able to maintain energy levels. This protein also helps the body repair and grow tissue, joints, and muscles. Consider copper to be like the district manager of your body, overseeing 50 differing metabolic enzyme reactions that occur within the body everyday. These reactions are vital because they make sure our organs stay up and running and improve communication between nerves. Copper enzymes are especially prevalent in the major organs: the liver, heart, and brain. Copper’s services are also valued in the digestive system, cardiovascular system, nervous system, as well as the rest of the body due to its nurturing of metabolic processes. Without copper, we would have a sluggish metabolism and little to no energy. In short, copper is extremely important to metabolic health. Getting enough copper is important to maintaining a balance of other minerals like calcium, zinc, and potassium. We need to keep a healthy balance of these minerals because they are necessary to proper thyroid function and preventing such conditions as hyperthyroidism or hypothyroidism. These minerals work off of each other, so maintaining a balance of each keeps things running smoothly. When there is too little or too much of one of these minerals, the body has an adverse reaction. This can result in such symptoms as changes in body temperature, weight gain or loss, changes in appetite, etc. Some believe that copper may be a natural treatment for arthritis due to its natural anti-inflammatory properties. Consuming copper-rich foods may help relieve stiffness and pain characteristic of arthritis. Getting enough copper is beneficial to those suffering from arthritis because it repairs connective tissue, decreases joint pain, and improves muscular strength. As we’ve mentioned, getting enough copper helps to keep things balanced in the body, this also goes for maintaining blood health. Copper works alongside iron to help produce red blood cells and hemoglobin. These two minerals work together to help iron get properly absorbed and stored in the liver. These two also work together to prevent the development of anemia, which is the result of an iron deficiency. 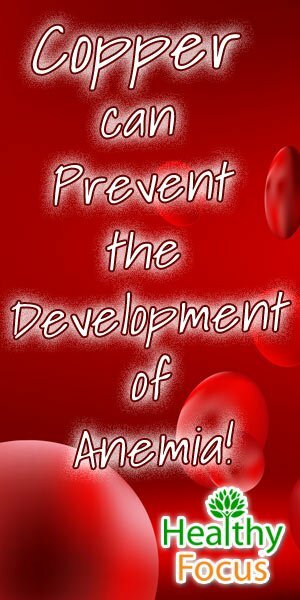 Developing anemia may lead to such unpleasant symptoms as impaired brain functioning, fatigue, achy muscles, and digestive issues. Getting enough copper is not only important to the interior processes of our body, but also the appearance of our exterior as well. Getting enough copper helps in the development of the pigment in our skin and eyes. Copper has a helping hand in making melanin, which goes on to produce the brownish hue of our skin and our own unique eye color. Copper also helps develop our skin texture and elasticity, helping the skin retain a youthful appearance. Copper is also essential in maintaining the beautiful pigment of your hair, preventing it from turning thin and gray.